Hello from Ethiopia! I’m here to scout locations for a new special, airing next fall on public television — and today, I visited one of this country’s leading and most historic churches. 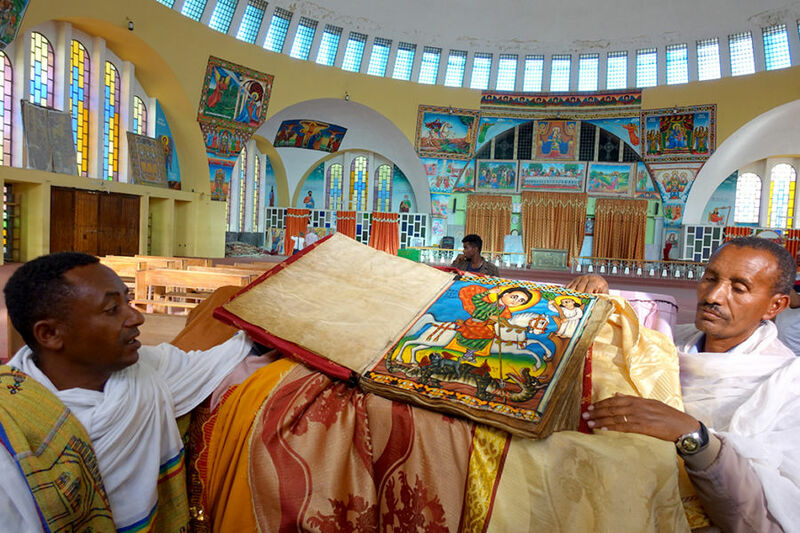 Join me for two minutes inside the Church of Our Lady Mary of Zion, in the town of Axum. And check out this ancient bible. Ethiopia was cut off from the rest of Christendom 1,300 years ago, when Islam swept across North Africa — and today, it is a mostly Orthodox Christian nation.